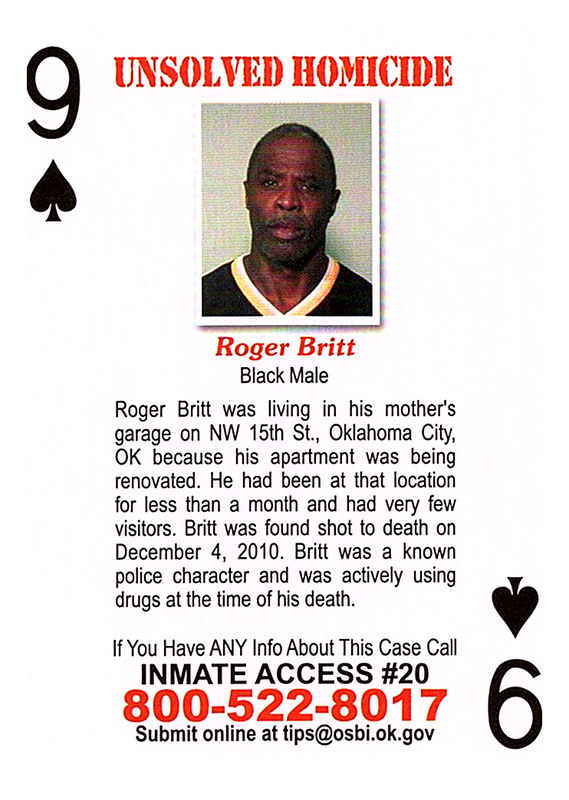 Roger Britt was living in his mother's garage on NW 15th St., Oklahoma City, OK because his apartment was being renovated. He had been at that location for less than a month and had very few visitors. Britt was found shot to death on December 4, 2010. Britt was a known police character and was actively using drugs at the time of his death.